Here is a quick test of the Mitutoyo MT-1 tube lens itself versus a couple of other 200mm telephotos that I have used with infinity objectives. The weather today is not so great, so rather than shoot outside at very long distance, I shot inside at 25 feet. 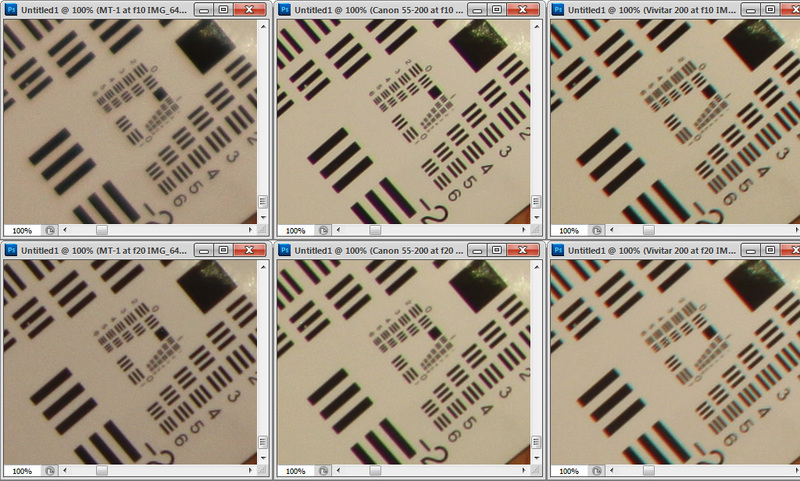 Centers at actual pixels (Canon T1i -- sensor size 15 MP in 22.3 x 14.9 mm). See title bars for lens ID and aperture. As I read this, the Mitutoyo MT-1 tube lens is characterized by being exactly as sharp as it needs to be, with no variation from center to corner and no visible chromatic aberration. By "exactly as sharp as it needs to be", I mean the following: At effective f/20 the MT-1 is essentially equal to the other two lenses at image center. They're probably all diffraction limited there. But while the other two lenses get noticeably sharper at f/10, the MT-1 does not. 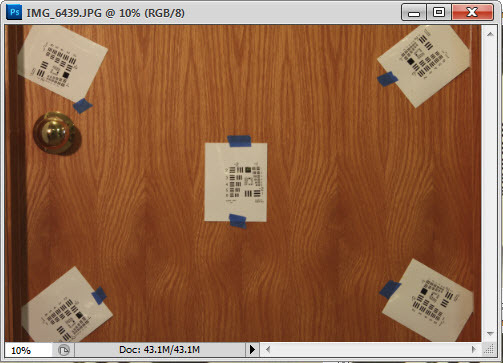 Its images at f10 and f20 are so close that I had to check the shutter speeds to confirm that I had not messed up. 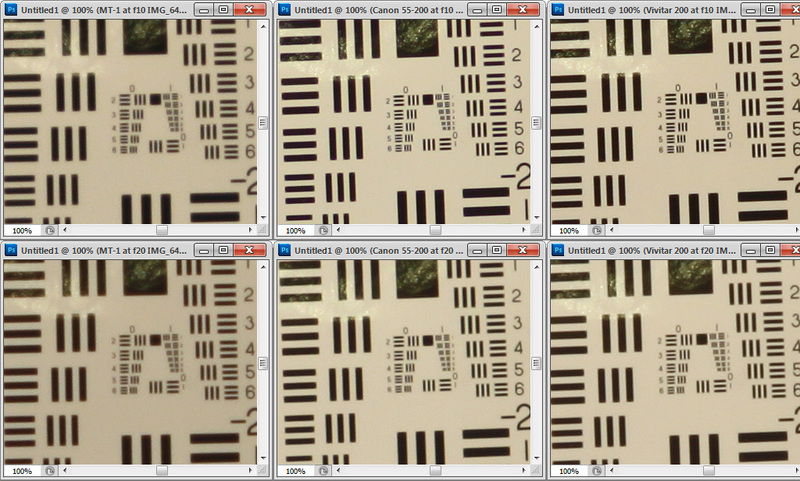 One result not shown here is for the MT-1 wide open, around f/8. That image is very low contrast, probably from veiling glare off the internal barrel. In normal use the barrel is shaded by the objective so it's of no concern. I got lucky mounting the MT-1. Turns out that its mounting flange is just the right size to get trapped between two M42 extension tubes that I just happened to have. 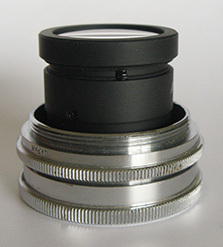 Adding a third longer tube to surround the MT-1 then makes a tidy module that fits an M42 bellows on the rear and provides an M42 female thread on the front for mounting an M42 iris and M42 adapters for objectives. One final comment: this test gives benefit of the doubt to the telephotos. That's because I stopped them down internally rather than by using an external aperture as I should have. Silly mistake, but I'm not inclined to take time to redo the test at this point.